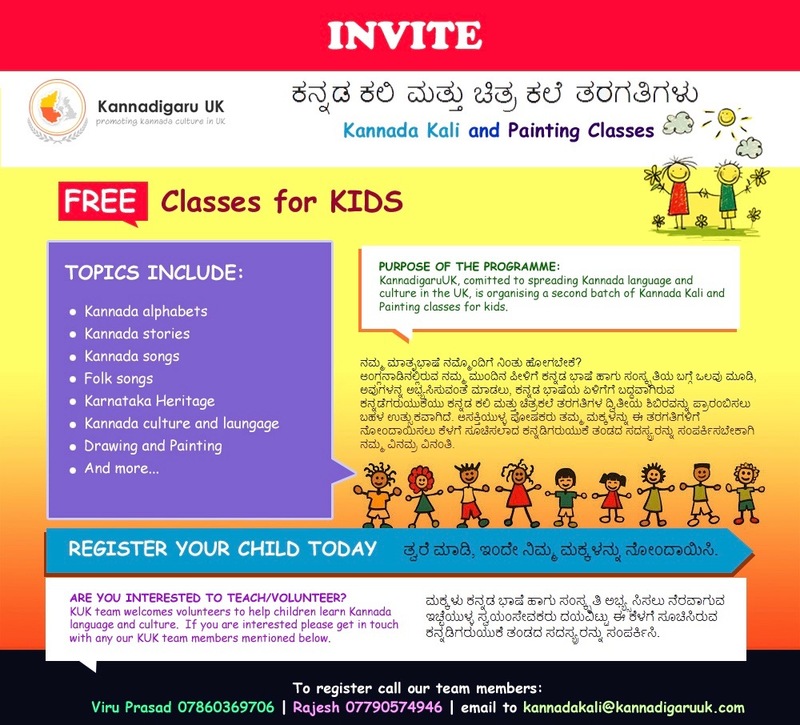 Big thanks to our volunteer teachers Saritha and Deepa for your support in successfully conducting “Kannada Kali” Classes in Basingstoke for the year 2016. We also thank all the parents who have supported by attending all the classes regularly. On a popular demand, we are now announcing the dates for the 1st term for 2017 starting 21st January 2017.